InVue Commercial Solutions provide best-in-class products for tablet deployment regardless of the application. The tablet enclosures are extremely versatile, they can either be mounted on a wall or counter and all have POS options. Turns a tablet into a dynamic fixed or portable point of sale. Innovation that provides exceptional customer interaction and increased sales. Integrated charging of tablet and optional card reader cradle. Rapid mobility using either secure electronic key or software control. Durable and versatile fixed tablet display with optional POS option. Highly tamper resistant fixed tablet display can be installed anywhere. Multiple stand options. Desktop, wall and floor. Adjustable angles, rotation and swivel. Simple, easy to use secure tablet display. Use tablet either as a fixed or portable device. Integrated tablet charging when docked. Optional hand strap available for portable use. Supports a wide range of tablet sizes. Easily rotate between landscape and portrait display and flip to face customer. Can be turned into a POS device with an easy to add card swipe/ chip reader device tablet. Easy removal for mobile use with mechanical key (CT150). Perfectly connecting tablets and people in retail. 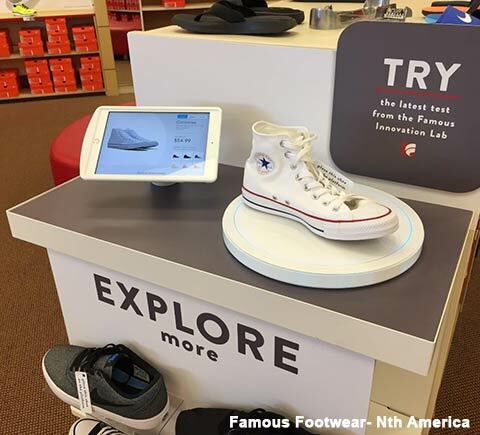 Tablets present a wide range of opportunities to enhance the in-store experience, whether as a tool for associates to share information with customers, conclude a sale, locate inventory or enhance a merchandise display. The customer experience in the store is being re-thought from beginning to end. Associates can no longer work from behind counters; they need to identify and engage customers when they walk in the store. They must be enabled through information and tools to offer suggestions to their customers (based on prior purchases or even online browsing histories), provide additional information and conclude the sale on the spot. 68% of retailers are focused on improving the customer experience by identifying customers, utilising customer-facing technology and empowering associates with information in realtime. 62% of retailers indicate customer identification and personalisation of the customer experience is their top customer engagement priority. 40% of retailers want to empower their associates with mobile tools.